The City of Melbourne in a surprised turnaround has ignored residents concerns and opposition to the establishment of an Early Childhood Learning Centre located in o0ne o0f South Yarras most historic iconic buildings, and in the process Crs Ken Ong and Stephen Mayne threatened to withdraw residential parking permits. For the last two years the City Council engineers and planners have opposed the establishment of an early-learning centre, on the Corner of Toorak Road West and Leopold Street South Yarra, supporting residents concerns in relation to traffic management, parking, Safety and heritage. Last weeks decision to support the development has come as a surprise given that very little has changed to address the problems foreseen with the proposed development with no net gain to the amenity of the area. Goodrest is one of South Yarra's most prized heritage assets, located within a residential neighbourhood zone the proposed construction of a 28 underground car-park with the car park entrance off Toorak road, demolition of residential apartments at the rear and the construction of a new Commercial building in its place. Only Two Councillors (Cr Beverly Pinder-Mortimer and Cr Kevin Louey) met with residents on site. Both indicated at the time they would be opposed to the granting of a planning permit. Cr Louey later voted with the Lord Mayor to approve the development whilst Cr Pinder-Mortimer, who lives in the area, maintained her position and concerns over safety and planning. Cr Richard Foster spoke passionately in opposition to the granting of a permit and Cr Jackie Watts (who did not attend the meeting on September 1) has also privately indicated that she was opposed to the development. Residents of South Yarra have called for a review of following threats by Councillor Ken Ong' threats to restrict City Council parking permits. Lord Mayor, Robert Doyle, ignored planning and traffic concerns displaying a bias towards the applicant by stating that the project should be approved to secure the secure the interests of the applicant Christ Church. Councillors Stephen Mayne, Ken Ong, Robert Doyle Susan Riley Greens Cr Rohan Leppart and Cathy Oak would not meet with residents to see first hand the problems with the proposed development. The Council administration was previously opposed to the development on traffic grounds and overnight had changed their minds. Concerns over heritage impact act on the Grade A listed Goodrest site were ignored. Cr Ong going as far as chastising residents for applauding speakers opposed to the granting of a planning permit. 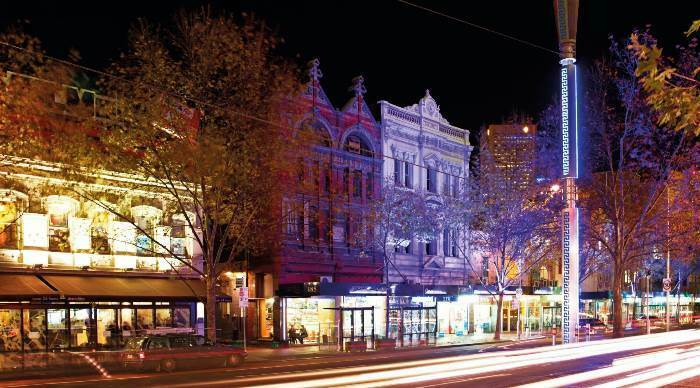 Some residents, dismayed at the lack of representation and capital works expenditure, have called for South Yarra to be transferred from the City of Melbourne to the City of Stonnington. South Yarra residents have defended their on-street parking rights during a heated debate over a new private school. 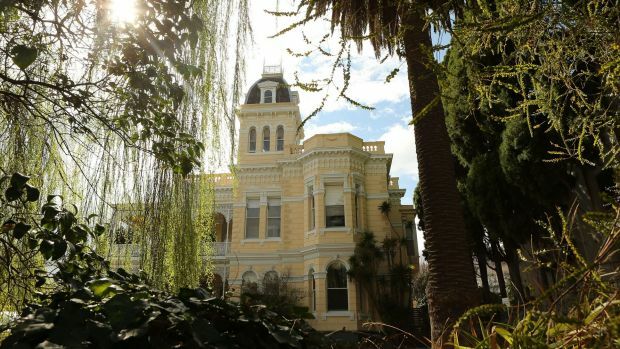 Melbourne City Council has approved a plan by Christ Church Grammar to create a kindergarten and primary school for 171 students at a heritage mansion on Toorak Road. The decision was made in the face of angry opposition from residents who argued parents dropping off their children would cause major traffic problems in the area, particularly on narrow Leopold Street. But the residents dismissed the suggestion that their own heavy reliance an on-street parking was contributing to congestion, during a meeting held on Tuesday evening. South Yarra resident Paul McSweeney said that people in the area used trams and taxis as much as they could. "You cannot take away people's right to have a car," he said. "We do our best as good citizens not to drive but there's a limit." Planning chair Ken Ong said South Yarra residents had an average of 2.2 parking permits per available property, while North Melbourne, Carlton and West Melbourne residents were automatically eligible to only one parking permit. The meeting was also told that in South Yarra (north of Toorak Road) there were 2000 residential parking permits, compared to just six car share spaces. Councillor Stephen Mayne suggested part of the solution to parking congestion could be more people signing up to car-share schemes. The comment prompted laughs from the crowd. Another resident, Elizabeth Fox, said that many people's second permit was used for visitors and tradespeople, rather than for permanent parking. People in the crowd later accused Cr Ong of threatening them when he said "I think South Yarra is somewhat in a very good position [in relation to the parking permits] at the moment. Don't push us down the path — we'll do the same." In response, someone in the audience called out "that was a threat by any measure. It won't be forgotten". Cr Ong said "all I am saying … is council had a policy over the years to reduce the number of permits in certain areas." Lord mayor Robert Doyle voted to approve the school's planning application but predicated that the stoush would land in Victoria's planning tribunal. Two councillors voted against the permit for 120 Toorak Road West. "I have great concerns for the safety of kids and the elderly" said Beverley Pinder-Mortimer, who lives in the area. Resident Pauline Hirsh​ told the meeting Leopold Street had recently featured in Channel 7 reality police show "The Force", when a woman sideswiped​ six cars. The school plan was originally opposed by council's engineering services department, whofound there was not adequate parking planned to cater for dropping off and picking up students. A report submitted by the school's traffic engineers had suggested a number of measures — such as a staggered starting time for different groups of students — to deal with the parking issues. But the council officers concluded there was "little reassurance that any measures will be implemented". Engineering services eventually withdrew their objection after VicRoads approved a plan to provide five additional parking spaces on the south side of Toorak Road. Another 28 parking spaces will be built as part of an underground car park in front of the mansion. Council officers said the development would provide a net benefit to the community, in a municipality that has been crying out for more schools. The council received more than 100 objections to the project, which will see the demolition of a "non-original" rear part of the Victorian "Italianate-style" building. Jack, The Governance Elf, reports that Cr Wood and Cr Foster have been having loud disruptive shouting matches in the behind the scenes Councillor rooms. It appears that they do not see eye to eye on a number of issues. This is not surprising as both have had falls outs with the Team Doyle camp even though Cr Wood is supposed to be a member of team Doyle. Cr wood who is responsible for Cr waste still has not acted to have removed the unsightly and unsanitary rubbish bin from outside a restaurant/cafe in South Yarra. Dinners have to sit next to the offensive and disgusting rubbish bin. This does little for the City's outdoor dinning reputation let alone Cr Woods. Stonnington seeks to withhold election results data, bringing the Council into disrepute. Stonnington seeks to withhold election results data. A similar exercise carried out by FOI Solutions Nick Bastosm cost the City of Melbourne over $60,000 back in 2000. It would have cost them $1.50. Tini Athanasopoulos’s election to Stonnington Council on countback is being challenged by a South Yarra man. 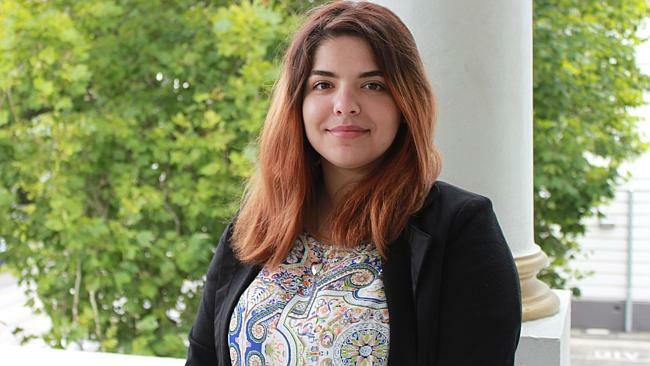 THE countback that saw Tini Athanasopoulos elected to Prahran Greens MP Sam Hibbins’ spot on Stonnington Council has sparked a freedom of information war. South Yarra resident and electoral reform activist Anthony van der Craats is fighting the council’s refusal to release the preference data used to elect Cr Athanasopoulos to South Ward. Accusing the council of “an abuse of process”, Mr van der Craats argued the information should be made public “in the interests of openness and transparency of local government”. The alternative, he said, was “like going to the supermarket and buying a trolley of goods and not knowing if the bill at the end is correct”. Mr van der Craats won a similar FOI case against Melbourne City Council in 2000, when the tribunal’s then deputy president Michael Macnamara ordered the council to release a data file of all ballots recorded in its 1999 election. Mr Macnamara rejected the council’s argument that the information sought was exempt under the FOI Act. Stonnington councillors are elected via proportional representation. When one resigns — such as Mr Hibbins following November’s state election — residents don’t vote again, with the departing councillor’s preferences instead distributed among the other candidates from the previous election, which was in 2012. Stonnington Council announced Cr Athanasopoulos’s election on February 2, after the countback was held on January 30. Mr van der Craats called for a review of the counting system used in local council elections, which he dubbed “flawed and outdated”. “It (the countback system) isn’t proportional and it excludes a large number of voters, so the results don’t reflect voter sentiment,” Mr van der Craats said. He argued that “anomalies particularly show up under the recount system”, saying every vote cast should be looked at instead of just redistributing preferences attached to votes for Mr Hibbins. Stonnington Council chief executive Warren Roberts said the council was legislatively required to keep electoral records, including preference data, in “safe and secret storage” for four years. “Accordingly, the City of Stonnington is following those regulations,” Mr Roberts said. Mr van der Craats will dispute this reading of the local government regulations at VCAT. The matter is listed for a directions hearing at the tribunal on May 18. Chairman of Finance, Cr Stephen Mayne, when asked "who was responsible for approving the expenditure of $1.5 Milllion and what steps had been taken to prevent such abuse in the future" remained stunned and silent at last nights Council's Future Melbourne Committee meeting held on Tuesday, leaving Lord Mayor, Robert Doyle, to speak on his behalf. The name Clown Hall being aptly used to describe the City Council. The Council lives in fairy land. We would be better off with Commissioners than this circus of clowns whose only role is self adulation for stupidity, complacency, dinner parties and junkets. How many homeless could have been given shelter for this sum of money? HYPNOTISING hipsters has cost the City of Melbourne $1.5 million. The Town Hall has again come under fire over its spending, this time on a video marketing campaign called the Land of Inbetween. Costing $3500 every second, the videos show young urban professionals being hypnotised so they can rediscover Melbourne. Hypnotist Andrew Newton was flown in from ­Europe to guest star at a ­believed cost of $20,000. The rest of the money was spent on production and advertising. It comes just weeks after the council was slammed for granting $20,000 on a choreographer to teach parking ­inspectors to dance. The issue is likely to prompt further debate over excessive council spending, which Premier Daniel Andrews and Local Government Minister Natalie Hutchins warned against. Melbourne City Council defended the project, saying it was within its $2.3 million ­marketing budget. But the Herald Sun understands Lord Mayor Robert Doyle hated the initial pitch — along with many others — and the campaign had to be sent back to advertising agency DDB. The million-dollar project was then almost canned before being re-edited and ­released online. City of Melbourne spokesman James Talia said it was not unusual for a marketing campaign of this nature to be “tested and tweaked”. Last night, the main video had just two likes and 837 views on the council’s official YouTube page. The City of Melbourne said it had reached 54,000 people since launching. Within council, the finished campaign is still divisive. Councillor Richard Foster said it was hard to see where the value was for Melbourne, attracting one type of visitor who already lived here. “Hypnotising hipsters may seem like an amusing thing to do, but it’s not when ratepayers’ money is used to pay for the experience. I really don’t think we need hypnosis, acupuncture or ozone therapy to attract people to Melbourne,” Cr Foster said. In the council’s 900-word response, Mr Talia said: “Our marketing campaigns work. “... We have a responsibility to our traders to do what we can to bring people into the city, especially in the colder months when there is usually a drop in traffic,” Mr Talia said. Victorian branch chair of the Australian Society of Hypnosis, Dr Di McGreal, described the video as nonsensical, bizarre and wasteful. “A city that can win the most livable city in the world shouldn’t have to hypnotise people to like it,” she said. Preliminary analysis of the City of Stonnington has indicated that the count-back system deployed is seriously flawed with over 2000 unused votes excluded from the count. Mr Anthony van der Craats, Senior Systems Analyst and Life member and former National Secretary of the Proportional Representation Society of Australia has called on the Stonnington City Council to publish the details of the preference data files for independent analysis and review. The Stonnington City Council has refused to date to publish copies of the preference data files. This information should be readily available but the City of Stonnington is refusing to release it. The Proportional Representation Society is aware of the deficiency in the legislation yet has failed to have this matter addressed. The rules as they currently stand are applicable to a different system and should not be applied to the current system in use. If the system was a pure proportional system (IE no Droop Quota) the existing rules would work fine. But under the Droop Quota system they distort the proportionally of the count and do not reflect the voters intention. Without access to copies of the preference data files it is impossible to independently verify the integrity and accuracy of the count. The Stonnington City Council in refusing to make copies of the preference data files readily available is trying to hide and prevent review and analysis of the system which needs to be change if public confidence in the system if to be maintained. Other Municipalities, State and Federal Government have published copies of the preference data files used to determine the results of the 2012 and 2014 elections. Why not Stonnington? Received correspondence from a group calling themselves "Domain Name Group" in what looks like an invoice when in fact it is not. The Fact that their unsolicited advertising looks like an invoice is designed to mislead customers into thinking that their domain name is up for renewal when t is not. Victoria’s local government watchdog has closed an investigation into whether Melbourne Lord Mayor Robert Doyle and his team breached electoral donation laws despite uncovering potential breaches of the Local Government Act. The 17-month investigation followed Fairfax Media revelations last year that the election campaign donation declaration made by the Doyle team contained apparently incorrect information. The newspaper investigation found two hidden links to Chinese-born developer Jeff Xu, prompting concerns about transparency and possible conflicts of interest. But this week acting chief municipal inspector Ross Millard said the inspectorate had been given advice that a successful prosecution of the Doyle team was “unlikely”. That is in spite of a prima facie case and “evidence of poor practice” being established by the Local Government Investigations and Compliance Inspectorate. “Members of Team Doyle have been reminded of their responsibilities and obligations under the Local Government Act in relation to campaign donation returns,” Mr Millard said. The Age asked to see the legal advice provided to the inspectorate. A spokesman said the government watchdog adhered to the Office of Public Prosecutions guidelines and provided a link to 42 different policies. Macquarie local government lawyer Terry Bramham said the reasons for not pursuing the case should be open to public scrutiny. “The advice may be quite sound, but right now we don’t know what was discovered in the investigation and we don’t know the basis on what the advice was provided,” the said. In July last year, the Doyle team self-reported three discrepancies in their election donation return – amounting to a previously undisclosed $19,500. On Friday Cr Doyle said he regretted the omissions, but they were honest mistakes. The findings come as Melbourne City Council launched a conflict of interest register, for the first time providing a permanent log of councillors who are forced to dismiss themselves from voting on council matters over gifts and cash received. In the first 20 months of their term, individual members of the five-person Doyle team have been forced 18 times to declare of conflicts of interest over money received through election donations. Cr Ken Ong has faced a conflict of interest five times over election donations and the two Greens councillors have made one declaration each. After more than six years as CEO of the City of Melbourne, Dr Kathy Alexander has resigned from the role to pursue new opportunities and spend more time with her family. Dr Alexander yesterday informed Lord Mayor Robert Doyle of her decision and said the time felt right to move on. In announcing her decision, she recognised the important role that local government plays in shaping and responding to the economic, social and environmental challenges facing cities globally. “Without a doubt Melbourne is one of the best places in the world to live, work and visit,” she said. “And a good part of that is a result of City Of Melbourne’s focus on the public realm and the environmental solutions we have put in place. We are sending a strong message to federal and state governments that Australia’s capital cities can help solve some of our biggest national problems. “I have always felt privileged to work at the City Of Melbourne with such an innovative group of staff and three very committed elected councils. “After more than six years on the job, and with the organisation’s financial position strong, I believe now is the time to pass the baton. It is also a good time for me to take a new direction in my life and career, pursue opportunities as a non-executive director and, importantly, spend more time with my family,” Dr Alexander said. Lord Mayor Robert Doyle expressed regret at Dr Alexander’s announcement but said he completely understood and fully supported the reasons for her decision. “Kathy Alexander has been an outstanding leader at the City of Melbourne and should feel proud of the contribution she has made to the world’s most liveable city. “On a personal note, I will miss Kathy’s passion, good humour and even the occasional argument! “She’s an exemplary leader and a strong role model for young women aspiring to CEO positions,” he said. Melbourne is Australia’s fastest growing city and the City of Melbourne employs more than 1,300 staff, 25 businesses and has an annual budget of $374 million in services and $100 million in capital works. Since joining the City of Melbourne in 2008, Dr Alexander has led several major capital works projects, including the Swanston Street redevelopment and the construction of major community infrastructure, including Boyd in Southbank, Carlton Community Centre and the new Docklands Library. She has been instrumental in driving what will be Council’s largest investment in its history, the renewal of the Queen Victoria Market. She has led the introduction of a major productivity program based on Toyota’s Lean Thinking management system – a first for local government in Australia – as well as embedding a culture of community engagement across the organisation. Dr Alexander will remain in the role of CEO until 3 December 2014 while the organisation undertakes a recruitment program. The date marks Dr Alexander’s 60th birthday, a milestone which she believes is a fitting time to move on from managing the world’s most liveable city.